I decided to run out to the Tonto National Forest on my last night in Arizona. 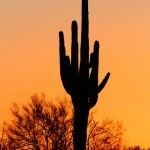 I was hoping to do a little shooting around Saguaro Lake at sunset. When I got there, I wasn’t surprised to see they charged $6 per vehicle. 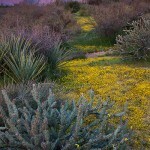 This is in line with what we had been paying in other Phoenix area public lands and seems fair enough. What surprised me, the nearest place to pay was 12 miles away, a 24 mile round trip to pay my day use fee! Just think if private enterprise did things like our government. Could you imagine showing up for an Arizona Diamondbacks baseball game and finding a sign that said you need to drive 24 miles to buy your tickets to attend that days game! Every other lightly visited public land utilizes a very simple solution. They provide a stack of envelopes and a very solid steal box for you to deposit your fees into. It works. If they want, they could still sell permits 24 miles away, but at least offer an on-site option. The Angeles National Forest is the same way. The only local places you can buy is a local sporting good shop or at the Mt. Baldy Village national forest visitor center. Not really convenient if you aren’t going all the way up the mountain or take another canyon not near the sporting shops. I find that hilarious! Most of the park I have visited have a drop box. I’m not sure I would have the energy to drive 24 miles to visit a public recreation area. Yeah – what is wrong with a simple drop box! I live in the Globe-Miami AZ. area and live about 22 miles from Roosevelt Lake. We use to have drop boxes at the camp sites then they went to machines that you paid through and got your 24 hour permits. But they had to stop that because it seemed that some of the forest sevice people were lining their pockets with our money. So now you have to buy your permits elsewhere. Then on top of that we were informed that in most of the places that we had to pay at was being charged illegally. If the site does not have permanet restrooms (not port-a-johns or the ones on wheels), running water, and drinking water then they can not charge you for use of that site. The way I look at it and have let it be known to the forest service and a few of our government officals is that this is our land (PUBLIC LAND) and we pay TAXES to keep up with the maintance on these sites. So why should we pay twice for enjoying OUR PUBLIC LAND. So far we have stopped them from yet again trying to raise these fees and closing down more of our favorite spots. I hope that if and when you decide to visit OUR LAKES again that you will be able to with out paying to enjoy them. Thanks for the detailed information – I had a feeling it may have had more to do with someone lining their pockets. What a shame. So instead of solving the problem by getting rid of the people stealing, they make us jump through a bunch of hoops! I plan to be back out that way in a week or two. The one positive I might add; as I understand it, the National Park Pass now includes Forest Service lands – I never understood why one annual pass couldn’t cover all our Federal lands – now it does. When it comes to paying fees to access our public lands, I don’t think any place is worse the Sedona – every time you turn around there is a different fee. Ron, think again. Your $80 interagency “America The Beautiful” pass won’t buy you squat on the Tonto. You have to UPGRADE it for an additional $15 to use it there. 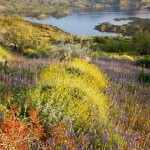 Tonto National Forest is the most expensive public land in the country. Shameful. The National Park pass does not now include forest service lands. There is a national pass called the America the Beautiful Pass [ATB] that costs $80 per year. It is supposed to be an interagency pass to get you access to public lands. However, according to Tonto National Forest, the ATB is not valid for overnight camping. So if you buy the ATB you still have to pay a fee to camp overnight. The ATB really has little or no value in Tonto National Forest since Tonto considers all of its recreation sites as Expanded Amenity sites. In fact, Tonto invites you to buy a $15 dollar upgrade sticker if you want to be a frequent visitor. 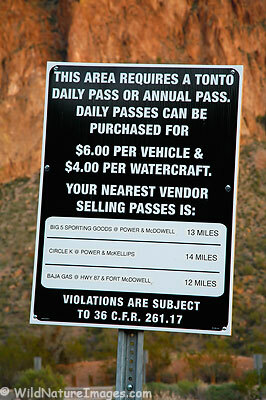 This combination is supposed to entitle the pass holder to “visit recreation sites that require a daily-use fee…” But, “The annual pass is not valid where an overnight camping or group use fee is charged.” At Roosevelt Lake, for instance, Upgraded passes are not valid at Cholla Campground, Windy Hill Campground, Grapevine Group Site, Frazier Group Site, Indian Point Campground, or Schoolhouse Campground – which happen to be most of the sites where you can get close to the lake. Also, should you happen to pull into one of the areas without a pass, forest service law enforcement is likely to hand you a “Courtesy Pass” on which the regular fees are DOUBLED – a $6 fee becomes $12, a $10 fee becomes $20, and we’ve heard from several people the forest service is tacking on a $25 Processing Fee on top of that! The ATB Pass is not accepted at most Bureau of Land Management [BLM] sites. And, at most National Parks you may get entrance in to the park with an ATB but you will be charged extra fees for back country access in many places. So how is an ATB an interagency pass? Have you any idea what that 36 CFR 261.17 entails? A first offense, of not purchasing a pass, can get you a fine of up to $100, a second offense is a $5,000 fine with a possibility of 6 months in prison, a third offense is a $100,000 fine with a possibility of a year in prison. I appreciate Kay’s comments. She proves someone is listening and learning. I recommend people read the document which granted fee charging authority to public lands management agencies – the Federal Lands Recreation Enhancement Act – which can be searched for on the Internet easily. Then decide where and when the forest service should or should not be charging fees. Educate yourself, then educate others. Thank you, your freedom to recreate where you want and when you want is on the chopping block. Thanks for following up with such informative posts. I really thought I was good to go in Tonto with the ABA pass! Paying to use the forest is like paying to fish in the ocean, why does the government think they own everything? where can I go within the Tonto National forest without a pass? Don, I’m not sure you can go anywhere except for driving the roads. And the same types are going to be possibly dictating health care. Did you know that only 15% of the population is without health care yet they are dismantling the entire system? What can we do to curb this onslaught of fees? I’m seriously ready to look for another country to live in. These stealth taxes are completely out of control. I’ve been an Arizona resident for 25 years. A few years after moving here I took a friend from California out boating. He was amazed that there wasn’t a “fee” for putting the boat in the lake. I thought that was funny back then. He indicated they charge fees to us any of the lakes in California. I naively thought, yeah, but not in Arizona. Fast forward a few years, and boom fees were being levied all over the state. First was Sedona with its Red Rock Pass, then the lakes and the Tonto National Forest. I actually had a ranger once tell me how wonderful it was that they were collecting fees now to enhance all of the amenities. I laughed and said, funny all the stuff that’s here now was there when there was no fee. I guess paying your salary to collect and enforce fees must cost a lot of money. And that is really the main issue. The administration of all of the fees is where all of the money goes. They even charge a fee to use the trails at the San Tan Mountain regional park which is operated by Maricopa County (even though most of it is in Pinal County). This isn’t federal land, but rather unimproved hiking trails up into the desert foothills. I believe 1996 allowed the preverbial camels nose under the tent. The rest is history, and unless we can somehow turn the tide the other way, I only seeing it getting progressively worse to the point that what used to be cheap recreation enjoying the “PUBLIC” lands, will now cost as much as going to a sporting event. Someone is lining their pockets. Maybe I just need to find out how to get in on the deal.